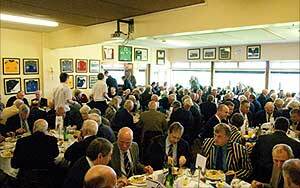 Every 1st XV home league game, apart from the day of the Club’s Vice Presidents lunch, is preceded by a “supporters” lunch. These lunches are open to all Club Members and their friends and are also often used by Club Members for corporate entertaining. 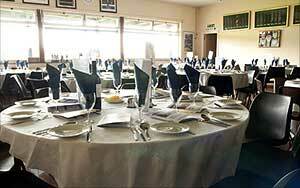 The lunches cost £22 per person and include entrance to the game, a 3 course lunch and match programme. The Club bars are open from midday with lunch served from 1pm. The game kicks off at 3 pm. Book early to avoid being disappointed! Please Note: You can book any number of places and, if required, table reservations can be made for 8, 10 or 12 people. Changes to your booking are accepted up to the Wednesday of the week you are attending the lunch. Chris Davison will collect all payments on the day. Cheques can be made payable to Hertford RFC.